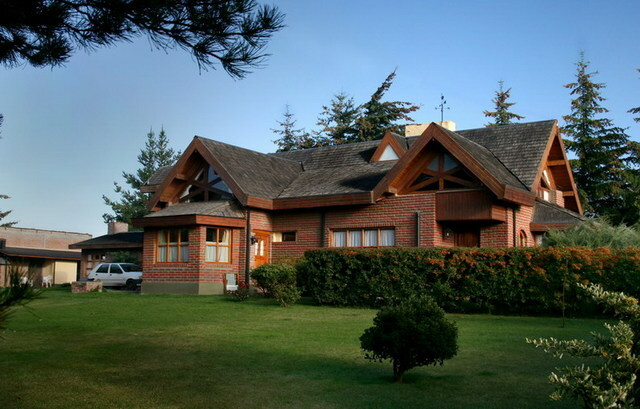 A solid, elegant 6-bedroom brick-and-timber house surrounded by an ample garden bordered by pine tress. Our location offers the best of two worlds: just a mile from town, 5 minutes away from shops and restaurants, taxi cabs, in-room cable TV, Wi-Fi throughout the premises, private parking, laundry, electric kettles, hair dryers, etc while letting you enjoy a quiet environment and beautiful views. Cross through Esquel, take road to National Park & Trevelin, then make a right turn 800 metres after leaving Esquel. Canela is two and a half blocks away on Los Notros St.